Some might say that blogs are a thing of the past. I personally don't agree. I think blogs are something that will always be present and that will never go extinct because there's always something interesting to say. How many times do you look online for reviews, answers to your doubts, advice, or simply for fun? And where do you end up most of those times? In a blog, right? There are so many platforms that are definitely more innovative and recent but blogs are that good old thing that will never disappear (touch wood haha). And if you're a blog lover like me then you'll find yourself sometimes looking for something new to read. I understand you. I'm always looking for new blogs to read too and sometimes it's hard to find them because we don't really know where to look. I love to look up on Bloglovin' and also in the comment section of my favourite blogs. But to hopefully make things a bit easier, I'm writing down a list of all of my favourite blogs of the past year or so and hopefully you'll find something interesting. Rachel's blog is exactly what I was looking for when I found it. I can relate to her so much not only when it comes to her personality and taste and opinions but also when it comes to her blog's content and way of writing. Rachel's blog is the kind of blog that I'm always eager to read when she posts. If you like my blog then you'll surely like hers as well. I mentioned Grace's blog in "My Top 5 Bloggers" post that I wrote a little bit over a year ago and since then my opinion has only changed for the better. Her blog grew in the meantime and I think the reason for that happening was that it became so much better and her content is amazing, even if it's a post I don't really relate to, I still read it because I love reading her blog. I love her personality and she recently created a YouTube channel and it just brought her closer to her readers. Anna has such a cute, pretty and trendy style that is what I've always wanted my style to be. When I read her blog I always take everything in and get super inspired. If stuff like that is your style then you need to check out her blog! 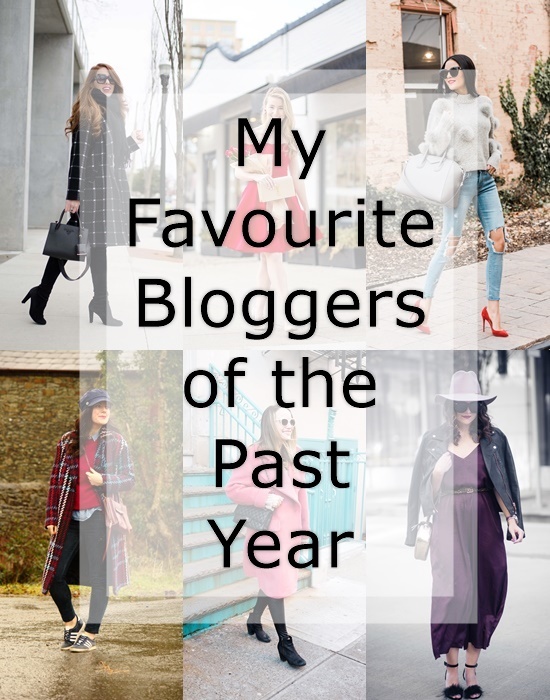 Kate's style is by far my favourite out of the bloggers' in this post. She's one of my fashion icons and her style is everything I want and more. Besides, her being from Texas means she has the most amazing southern accent and she's always so smiley and positive, it's definitely a blog you need to follow. I've already talked about Tara's blog and particularly her style in "My Fashion Icons" post and I had to mention her again in this one. Her style is everything I want my style to be and I always look her up for inspiration. Again, if you're into the same style I am, you'll love her blog. Rachel's blog is another one I always go to for inspiration. Her style is super girly and chic. And luckily for many, she has her own clothing line that I'd love to get my hands on but unfortunately, they don't ship to my country. Thank you so much for stopping by Daniel! Thanks for sharing these. Some of them I follow already but there are some new ones to me too. I will check them out.